The new Willets Point plan has developing occurring in Willets Point itself but across the street, in a parking lot to the west of CitiField. A casino is not included in the Willets Point redevelopment plan announced last summer by Mayor Michael Bloomberg. But according to bid documents obtained via the freedom of information law and provided to City Limits, the winning bidders on that project—a partnership led by the Related Companies and Sterling Equities—had submitted a plan to build a full-scale casino, as part of a massive 3.2 million-square-foot “sports and entertainment” complex completely off of the Willets Point site, on what’s now a parking lot just west of CitiField. Sterling is the owner of the New York Mets. For years the city has wanted to redevelop Willets Point, known as the “Iron Triangle” for its gritty mix of car-repair shops, factories, and scrap-metal yards. Its original plan called for a new 61-acre neighborhood east of CitiField, with housing, retail, a school, and a convention center. This scheme was later scaled back to take in just a first 23-acre parcel. But now at the center of the Related-Sterling project is a shopping mall with unspecified entertainment attractions on the CitiField parking lot. Though the city, Related, and Sterling responded to inquiries for this article, none of them answered the question of whether the casino would be back in their plans if the state approves it. The developers’ proposal, then, provides a blueprint for how—and where—a casino could land in New York City, and it raises new questions about how the city selected who would build the Willets Point project. The proposal also shows why some believe a casino can do real harm to neighboring low-income communities. In describing “the creation of a world-class casino, hotel, retail, and entertainment destination,” the pitch submitted by Related, Sterling, and Triple M Development ignored the project guidelines laid out in the city’s Request for Proposals, acknowledging, “[O]ur development concept departs from the programming components of the City’s master plan.” Gone was the affordable housing that sold the Bloomberg administration’s Willets Point initiative to the City Council back in 2008—in fact, the 270-page proposal contained no housing at all. Most of the development would have taken place on parkland west of CitiField, with practically all of Willets Point getting paved over for surface parking lots. The developers said this strategy offered the “significant advantage” of “minimizing” the necessary costs to clean up polluted land on Willets Point and also avoided the building of basic infrastructure. Their plan included the 900,000-square-foot casino; a 1.8 million-square-foot shopping mall with department stores, movie theaters, and bowling alleys; and a 500-room “premium” hotel, with restaurants, bars, and ballrooms. Renderings prominently featured the hotel’s Flash Gordon-like tower, which would put a rooftop “pool club” on stems rising above the building. Millions would visit each year, the bid predicted. 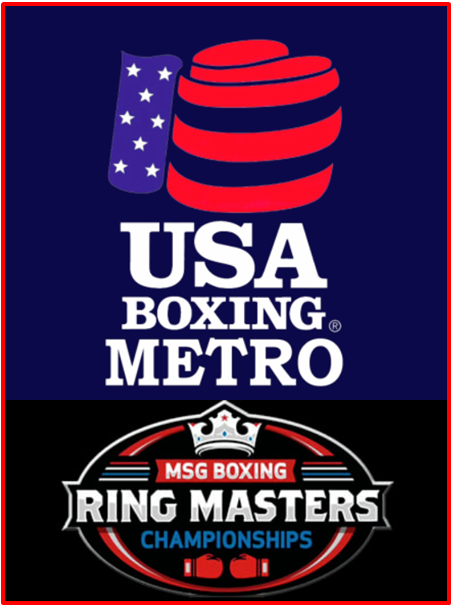 In an introductory letter signed by Related’s Jeff Blau, Sterling’s Jeff Wilpon, and Triple M’s Michael Malik, the developers offered the city “the unique opportunity” to “meaningfully participate in the revenue anticipated to be created by gaming opportunities in New York State.” Triple M’s principals include Michael and Marian Ilitch, founders of the Little Caesar’s pizza chain. Michael Ilitch also is the owner of the Detroit Red Wings and Detroit Tigers sports teams. With Malik, Marian Ilitch started Gateway Casino Resorts, a nationwide firm. Related and Sterling developed this proposal just as city and state officials were expressing new openness to casino gambling. New Jersey, too, was challenging the federal ban to allow Atlantic City casinos to offer sports betting. After failing to put a casino and convention center at Aqueduct racetrack, Gov. Andrew Cuomo reportedly considered proposals last summer for other parts of New York City, including a plan at Willets Point. While the conventional siting of a casino would require action in Albany—and an amendment to the state constitution—Related and Sterling’s proposal offered a more creative solution to political negotiations, legal wrangling, and league prohibitions: The developers entered into an “exclusive agreement” with Gateway, which already had a contract with the Shinnecock Indian Nation to grow “gaming opportunities” in New York state. Owning a casino has been an elusive goal of the Long Island Shinnecocks, who— though one of the oldest self-governing tribes in America—didn’t win federal recognition until 2010, after a 32-year battle. The recognition was seen as a first step toward the Shinnecocks building a casino on their 800-acre reservation in Southampton. But under the federal Indian Gaming Regulatory Act, the tribe would still need an agreement with the state before it could open a full Class III casino, with table games and slot machines. Southampton officials opposed a casino, and county and state authorities tried to steer the Shinnecocks to other, off-reservation locations. A 2011 rule change by the U.S. Interior Department set the stage for more Indian tribes to build casinos on sites outside of their reservations. But the process for building one at Willets Point would have been complicated. The developers’ own attorneys noted that since the CitiField parking lot is on Flushing Meadows-Corona Park, that piece of the park will have to first be alienated by the state Legislature, then approved by the governor, with the lost parkland replaced either with new acreage or capital improvements to existing parks. This same hurdle would confront the current shopping mall plan, though the Bloomberg administration denies that alienation legislation will be needed to build the shopping mall on parkland. A casino would have aditional complications. According to a memo attached to the proposal, from the law firm of Stroock & Stroock & Lavan, once the land was alienated, it would have to be transferred to the Interior Department, which would hold it in a trust for the Shinnecocks. The federal government also must determine whether the planned casino would damage the surrounding community. When the city announced its new Willets Point plan in June, the casino was gone, and a shopping mall with an entertainment complex was slated for the spot west of CitiField. Related and Sterling stress that the Shinecocks, Gateway, and Triple M are no longer part of their deal with the city. The Shinnecocks’ relationship with Gateway has been strained. The tribe removed four top officials from their jobs in January for pursuing casino deals apart from the company, including an improbable proposal to take over Manhattan’s Farley Post Office. The Detroit-based Gateway reportedly spent more than $60 million on Shinnecock proposals in the expectation that a metro-area casino would bring in about $1 billion a year. Revenue projections were much higher for the casino in the Willets Point proposal. That Related and Sterling’s bid was deemed “unviable” makes it harder to understand why they still ended up with the project. Other developers made proposals that more closely hewed to the city’s guidelines for the Willets Point site. Benjamin Branham, spokesman for the New York City Economic Development Corporation, says the developers’ plans changed over the course of the city’s deliberations—and he called such revisions “standard practice,” particularly when dealing with a complex development. Some things were lost in the process. For example, “Macerich went from submitting a very appealing vision of a mixed-use neighborhood to proposing an indoor shopping mall surrounded by surface parking, which would have been completely non-compliant both from a zoning perspective and in siting a large floorplate over areas where streets were located,” Branham says. All of the Willets Point proposals—released through the Freedom of Information Law and obtained by the groups Willets Point United and New York City Park Advocates—showed the various plans in their initial and revised states, except for the Related and Sterling submission. 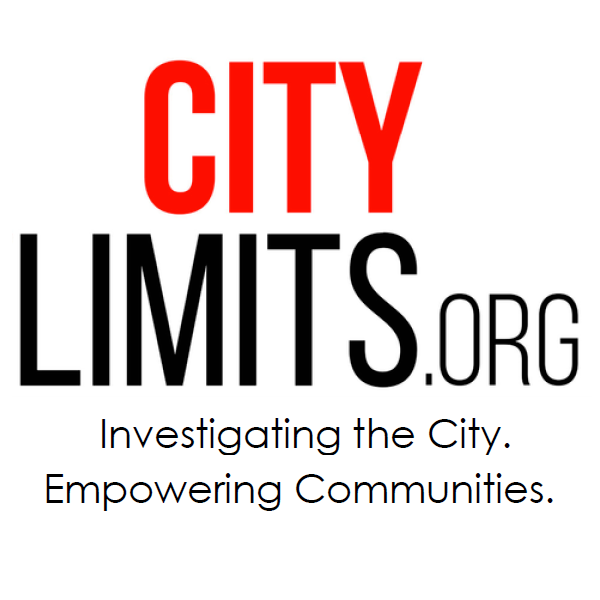 When City Limits asked to see Related and Sterling’s final proposal, the city didn’t provide it. Instead, the Economic Development Corporation sent a draft scoping document for the project’s supplemental Environmental Impact Statement along with some renderings of the final plan unveiled by Bloomberg. That plan would put a 200-room hotel and parking lots on the first 23-acre slice of Willets Point and a 1.4 million-square-foot shopping mall and entertainment complex west of CitiField. These projects would all come before the 2028 opening of residential buildings with 2,490 units, of which 872 will be affordable. 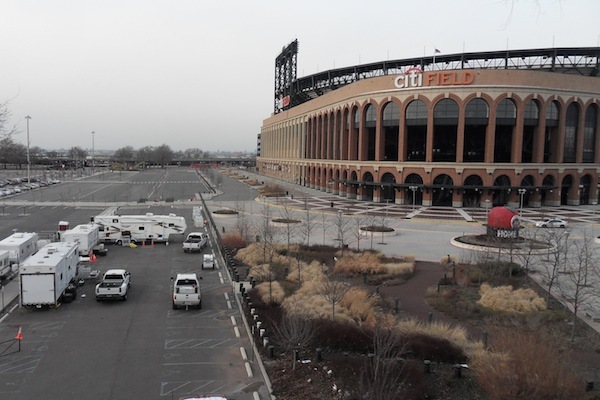 After the mayor announced the selection of Related and Sterling, some charged he was playing favorites because the site west of CitiField was not offered for consideration. The gambling industry is obviously eager to come to New York City. Aqueduct now has the nation’s highest-grossing slot machines. Since September, top executives of the Las Vegas-based Caesars Entertainment Operating Company—which runs casinos, hotels, and convention centers—have been lobbying the City Council. Though Silver has expressed a desire to keep casinos out of Manhattan and other “densely populated areas,” he’s now open to putting one at Willets Point or Coney Island, both of which are surrounded by residential neighborhoods. The initial proposal by Related and Sterling made a dollars-and-cents case for a casino. New York City represents a $4.3 billion market for the gaming industry, according to the developers’ economic analysis, prepared by the Sports Business Research Center at the University of Michigan’s School of Kinesiology. Excluding business travelers and tourists, the market for a casino could still exceed $3.9 billion, the bid said. This means a city casino’s business would overwhelmingly come from local customers. Casinos make a lot of money for their owners, but the claims of ancillary economic gains and indirect job creation are “almost entirely false,” says economist Earl Grinols, a professor at Baylor University who’s spent the last three decades studying the effects of legalized casinos in the United States. One of Grinols’ studies looked at sales tax collections near casinos. “We found the only other businesses to benefit were gas stations,” he says. Worse, Grinols says, casinos prey off the vulnerable: They make most of their money on slot machines, and, according to a report funded by the Canadian government, more than 60 percent of that revenue comes from problem gamblers. “The casino’s objective is to get the gambler inside and keep the gambler inside until he’s lost all his money,” Grinols says. That’s why there is little to no spillover economic impact. Willets Point would be a particularly poor location due to its proximity to low-income immigrant communities, Grinols adds. The casino proposal notably included a pedestrian crossing from Flushing. Grinols’ own study of FBI crime data documented a statistical link between casinos and rising crime rates. “Casinos create crime,” he says. Promises of jobs are a big lure. Related and Sterling’s original proposal says that more than 9,400 direct jobs would have been created by the casino, hotel and retail center (not to mention the project’s 4,400 temporary construction jobs). The vast majority of that — 7,700 jobs—would alone come from the casino, which would be open 24/7. But casino jobs are mostly low-wage: The Bureau of Labor Statistics says the median average wage for a casino worker was $20,260 in 2010, even less than the $20,990 wage of the average retail worker. This measure didn’t include tips, and it didn’t note that higher wages are paid in casinos where employees belong to unions. Still, the average casino job in the union stronghold of Atlantic City brought in just $25,360 that year. The New York City Central Labor Council had exacted a promise from former deputy mayor Robert Lieber that the city’s RFP would express a preference for proposals with “living wage jobs,” meaning the retail jobs would pay $10 an hour with health benefits or $11.50 without health insurance. No such preference was ever stated in the RFP. In answering for the lack of a living-wage provision, the city notes the developers have “publicly committed” to employing union labor and are required to use HireNYC, a recent city program to match low-income residents to jobs in economic development projects. Related and Sterling’s partnership, the Queens Development Group, says the $3 billion Willets Point project as now envisioned will create 12,000 union construction jobs and 7,000 permanent jobs over the long life of the development. But the original proposal estimated the number of jobs created by an even larger mall would have been only 972. The 200 businesses still on Willets Point employ somewhere between 1,600 and 1,800 workers, according to estimates. The Bureau of Labor Statistics says in 2010 the average wage of an auto service worker was $35,790. It also says future job prospects are bright for that skill set. After the city announced the new Willets Point plan this summer, development proposals emerged for other parts of Flushing Meadows-Corona Park, namely, new stadiums for Major League Soccer and the U.S. Tennis Association. With three projects now aiming for the same public park, Olaya believes larger forces are at play, and he doesn’t mind sounding a little paranoid about it. For him, it’s simply common sense. Find out how much was wagered and how much was won on lottery games in 2012 in every ZIP Code in New York State.